Hasco Hasenclever GmbH + Co KG from Germany is now offering latch locking units which have a DLC coating on their functional surfaces, reducing friction and wear down.These latch locking units, Z170/…, Z171/… and Z174/…, are especially suited to use in the food and medical sectors, since production can be run without lubricants, making it compatible to a clean room environment. According to the company, the coating does not lead to any dimensional changes in the functional surfaces, hence the new latch locking units can be fitted 1:1 to existing systems. 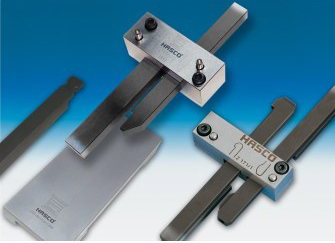 The Hasco latch locking units are noted for their good slip properties, due to the low coefficients of friction, and for their maximum corrosion protection. Furthermore, optimum tribological properties clearly improve mold service life and help minimize wear.Latch locking units are used primarily on injection molds with multiple plate movements. They can be subject to particularly high loads as a function of the component dimensions and the size of the mold.